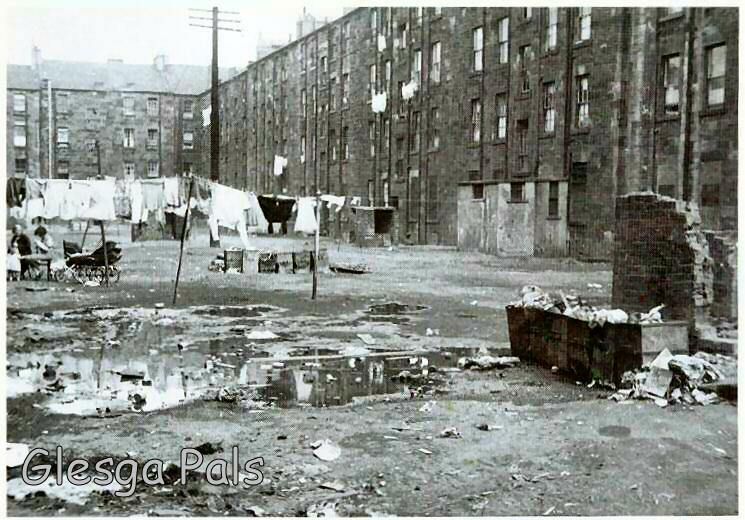 Old Glesca three storey tenement and backcourt fae the auld days. 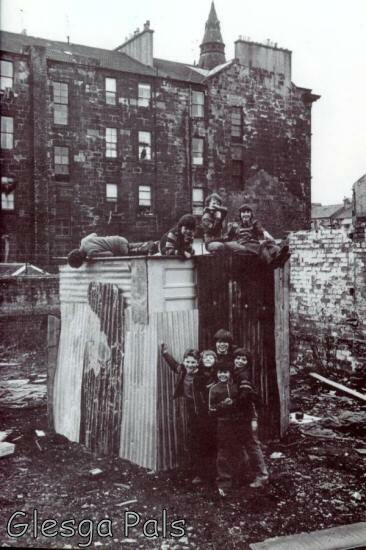 ...... the open overflowing middens, big puddles, the washing hingin' oot and the neighbours sittin' roon the back wi' the weans in the prams hivving a blether! covered with old carpets and "waxcloth"
for us so the privacy of the hut with a lit candle allowed the opportunity to have a kiss and cuddle!